Earlier today, Restore the Delta held a press conference to distribute documents regarding the BDCP’s implementing and financing details obtained through a public records act request, as well as criticize Senator Feinstein’s emergency drought response bill. On the media call is Bill Jennings, executive director of the California Sportfishing Protection Alliance, Barbara Barrigan-Parilla, executive director of Restore the Delta, Osha Meserve, counsel for the Local Agencies of the North Delta, and Bob Wright, general counsel for Friends of the River. The following is a transcript of what they said. Almost two years ago in the fall of 2012, Jerry Meral, in response to a series of questions, acknowledged that the Implementation Agreement was long overdue and said it needed to be ready by January of 2013. As I recall, he said that it was time for the proponents to “fish or cut bait.” Well, two Januaries have come and gone, we’re almost to the close of the comment period for the draft BDCP and environmental review documents and we’re still waiting to see it. Apparently, the Implementation Agreement is going to be kept secret until the final BDCP and EIR/EIS. Basically, BDCP has scheduled a wedding, reserved the chapel, sent out invitations and ordered flowers and cake but the bride hasn’t agreed to get married and is balking on the prenuptial agreement. The Implementation Agreement is the heart of BDCP. Many of the specific structural details are only generally described in the BDCP and EIR/EIS and have been relegated to the Implementation Agreement. It is the Implementation Agreement that defines obligations, provides assurances, ensures adequate funding, specifies responsibility for implementing measures, provides for enforcement and remedies for failure and establishes the process for changes, among numerous other things. And these details reach into critical sections throughout the documents, from governance to finance to adaptive management to assurances to the very project description. However, financial assurances are unsupported. Critical information is lacking on the respective financial obligation of urban and agricultural contractors; the ability and willingness to pay on the part of the agricultural contractors, who will use approximately 70% of the yield; how the $2 billion obligation previously assigned to the Friant Water Users will be paid; and the financial obligation, if any, of the CVP contractors who are not BDCP permittees. Delaying important financing decisions to the end of the permitting process effectively prevents the public from identifying and communicating concerns. This is particularly important as the state’s taxpayers may end up as the guarantor of any default by the permittees, or that a statewide water use surcharge might be enacted to cover unmet costs. Will permits to operate the tunnels be suspended or revoked if California voters disapprove bonds and/or Congress withholds appropriations for habitat restoration other non-water projects conservation measures? BDCP Chapters 6 and 7 discuss implementation but details are obscure. How does adaptive management to achieve biological goals and objectives coexist with No Surprises protection of “no net loss to exports?” The 4-member Authorized Entity Group (DWR, the Bureau and State and Federal Contractors) and the 3‐member Permit Oversight Group (fishery agencies) are given “joint” responsibility for making decisions on adaptive management. • How will votes be handled? By what quorum rules will they operate? • Will decisions be made by a majority, super-majority or by consensus? Will water agencies and contractors allow scientists to decide how much water can be exported? • How will BDCP determine which of the operational scenarios will be the initial starting point? Is it high outflow or low outflow? What is the project yield or water supply reliability? • If additional measures become necessary and permittees are guaranteed no surprises, where will any additional water and funding come from? The Authorized Entity Group is given sole authority to make final decisions over the handling of conservation measures 2 through 22. Does this mean that DWR, the Bureau and State and Federal Contractors will have final authority over habitat restoration, even though taxpayers will put up 90% of the funds? Details are needed. The Authorized Entity Group is given final say over compliance monitoring and reporting requirements. But these details have been poorly specified. Effectiveness monitoring is not discussed although it is mentioned in an appendix concerning research, monitoring and adaptive management. Again, details are needed. 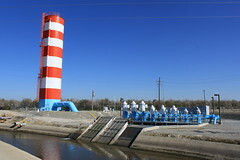 What assurances or guarantees will be included that the project will be operated properly, given that the State Water Board has never taken an enforcement action against the state and federal projects, despite thousands of documented violations of water quality and flow standards over the last 30 years? Indeed, the Board has changed the very standards themselves, eight times in the last 90 days. So if the Implementation Agreement is the core of the project containing the critical details of how it will be financed and operated – where the rubber hits the road. Why hasn’t it been released? The answer, I believe, is expressed in the Critical Issues Memo discovered through a Public Records Act request and included in the packet being distributed. These are the critical threshold issues that project proponents have already laid before the Governor. The first was met when DWR Director Mark Cowin announced the formation of a Joint Powers Authority and the delegation of construction‐related decisions to the state contractors. The Authority will become active in three weeks but the details haven’t been worked out. But, the contractors are also insisting upon a commitment that the federal agencies will become full project proponents; a reliable water yield of 75% of CVP/SWP contracts; a guaranteed minimum water supply; publically funded programs to meet environmental water demands; and regulatory assurances that a lack of funding by state and federal agencies won’t invalidate the permits for the tunnels. Without these assurances, BDCP simply doesn’t pencil out financially. With them, Adaptive Management is just a slogan and BDCP is inconsistent with its own EIR/EIS. It can’t meet the legal mandates for an HCP/NCCP. Failing to reveal the Implementation Agreement sabotages the ability of the public to substantively comment on the project. It makes of mockery of transparency, due process and meaningful public review. It wastes the many thousands of dollars and hours spent reviewing, analyzing and commenting on documents that are going to have to be re-­‐circulated because crucial operational and financial details are excluded. I’ll conclude by observing that we’ve spent countless hours reviewing and analyzing BDCP and the EIR/EIS. We’ve identified a universe of omissions, factual errors, unsupported conclusions and unwarranted assumptions from modeling to financing to operations to habitat restoration. But even if we were to uncritically accept all of BDCP’s claims and accept the lack of critical details, their own modeling and evaluation reveals that the project will reduce Delta outflow; increase Delta exports; decrease salmon smolt survival for Winter‐run, Spring-run and Sacramento and San Joaquin Fall‐run; degrade critical low salinity zone habitat for resident Delta species; reduce dilution and increase the residence time for pollutants to interact with the environment; increase violations of salinity standards for fish and agriculture; and increase the concentration of mercury and selenium in fish tissue. And that disaster is the best that BDCP can promise. The worst – if it includes contractor demands – will be a nightmare for California. As Bill Jennings has just illustrated, the BDCP and its corresponding EIR/EIS are incomplete documents without the Implementing Agreement. And this is particularly true in regard to BDCP finance. My talk today will be centered on the question why have the state and federal water contractors been unable to complete the Implementing Agreement? These documents in their total reveal the BDCP work process between the state and federal water contractors on issues like dealing with construction costs, who will pay for what share of the tunnels between federal water and state water contractors, how federal contractors are behind in their payment to the Bay Delta Conservation Plan, and even their working plan for creating the recently announced Joint Power Authority between DWR, Metropolitan Water District, and Kern County Water Agency. Document #1 speaks to the issue of the federal contractors’ contribution to the BDCP. As you will see in Table 1A, in an email addressed to Jim Beck, General Manager for Kern County, the federal contractors are behind in payments just for the planning effort. Presently, Westlands Water District, the lead agency for the federal contractors, following this timeline, has stopped paying its share into the BDCP, and as the memo writer Brett Waltheim (CHECK SPELLING) indicates, the problem erupts for BDCP planning in the present as the CVP, the Central Valley Project, does not have the money to make up the shortfall. The table shows the payments stopped this month, funds will be exhausted by July, 2014, and the project will be running a deficit through October. Westlands Water District, the primary federal contributor, is not keeping up with payments, and as the 2014 irrigation ratebook indicates, Westlands currently owes approximately $345 million still for the CVP. The question becomes how will Westlands ever catch up and be able to pay for their share of a project that with interest and operations cost, will cost between $52 billion and $67 billion? 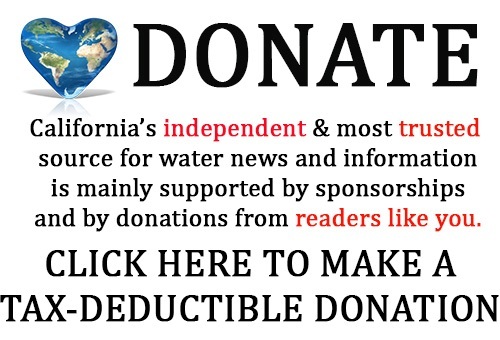 What has happened thus far is that the State Water Contractors, Kern County and Metropolitan Water District, has lent money until Westlands has been able to replenish its share to the project. But presently, there is just a shortfall. With the State Water Contractors coming to the rescue, we wonder does this mean that Southern California ratepayers are already bailing out Westlands before design of the project has even been completed. In addition, document 3 shows that the Kern County Water Agency also expresses qualms about the cost of the tunnels. As with Westlands growers, the question is can Kern growers produce enough profits per acre to support this financing? Repayment costs for $14 billion tunnels with operations and maintenance requires roughly a $1.2 billion annual repayment. To keep the math simple, if we assume a 50/50 split between the State Water Project and the Central Valley Project, and that Kern Water Agency were to receive 1/8th of the water, their annual repayment commitment would be roughly $150 million. We think it’s worth comparing that number to Kern Water Agency’s budget for 2013-2014 of $142 million. If the project costs more than Kern can pay, the money will have to come from somewhere. And again, we ask if Southern California ratepayers are going to be expected to make up the funding difference for Kern County Water Agency growers in the future, as they already may be doing for Westlands? We believe that this is the first reason that the Implementing Agreement has not been completed in time for public evaluation because it will become clear that Westlands and Kern County Water Agency cannot afford it if it were to stand up under the scrutiny of public review. It’s also worth noting that Kern officials ask but do not answer in document 5 what happens if public funding does not happen for the habitat component of the BDCP. You will find this question raised in the document called Summary of Assurances. Presently the BDCP is looking for a $4 billion contribution from California tax ratepayers via water bonds to pay for the habitat conservation plan to mitigate the impacts of construction of the tunnels in addition to a $3.5 billion federal contribution. We believe this is the second reason the Implementing Agreement has not been completed. How does an entity plan for billions of dollars in funding a project with general obligation bonds not yet approved by voters? And how can the BDCP plan for a federal contribution towards California habitat to be appropriated by a continuously gridlocked Congress? We don’t think it can. It’s also worth noting in the summary of assurances what they call the PWAs or public water agencies are looking for public funding to purchase water. They call it environmental benefit water. Expanding water agency capability to buy environmental water is highly problematic as Stuart Resnick’s Paramount Farms has already made millions by buying and reselling environmental water. Again, these issues, we believe, will not stand up to public scrutiny during a public discussion of the Implementing Agreement as the project relies on taxpayers for mitigation and to pay for shifting water around the state for the benefit of big growers like Stuart Resnick. 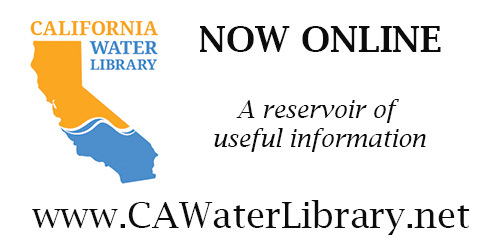 Last, you will find the documents showing the plan for creating the recent JPA between DWR, Met, and Kern Water Agency. Here the indirect influence of the Department of Water Resources by water contractors becomes direct influence with construction of the project. Is this JPA being funded solely by Kern, Met and Santa Clara Valley Water District? Or is taxpayer money also being used to construct a project that will benefit large agri-business and the water professional class associated with Metropolitan Water District? When we put together these documents, with the lack of an Implementing Agreement which shows how the project will be paid for in combination with the hundreds of negative impacts for the Delta that are documented in the EIR, and the most recent GPA maneuver to sell municipal bonds for a project that has not been approved, permitted or designed, it becomes clear that this project internalizes the benefits for Westlands, Kern County Water Agency, and the leadership of Met and Santa Clara Valley Water Districts, while externalizing the losses for Southern California ratepayers, Silicon Valley ratepayers, California and federal and taxpayers, and the people and fisheries of the Delta. Because there is no Implementing Agreement for public review, environmental groups and groups for good government have been reduced to public act requests in order to make sense out of the BDCP’s proposed financing. I will conclude by sharing that our most recent request for information from Metropolitan Water District has been delayed by Met until June 13, 2014, the day that BDCP public comments are due, even though this request began in March. We think that the proponents of the BDCP will not stop at anything to hide the truth of the real cost of the project from their own ratepayers and California taxpayers. My name is Osha Meserve and I represent Local Agencies of the North Delta, which is a coalition of water and reclamation districts in the northern part of the Delta covering over 100,000 acres. I’ll talk a little bit about the announcement by DWR to open two offices to actually implement BDCP, prior to having an implementing agreement and how that relates to some of the funding issues you heard discussed earlier. Barbara raises a number of unsatisfactorily resolved questions around the viability of BDCP, even for the project proponents or the public water agencies. Unfortunately, a large part of BDCP costs are also proposed to be hoisted on California taxpayers in general by borrowing into successive statewide water bonds. And now, further concerning, is that DWR has announced plans to create two new offices within the Department to finish planning for and to implement the BDCP. The memo regarding these two new offices is your document number 7 in the packet. The first office they will create is the DWR BDCP office, which will implement the other aspects of the BDCP other than the tunnels, some of which could have conservation benefits. The Chief Deputy Director Laura King Moon formerly an employee of the State Water Contractors, will initially head up this office. According to the memo, this organization will become the BDCP Implementation Office described in Chapter 7 of the plan, which also refers repeatedly to the missing and incomplete Implementation Agreement for crucial details. The other office that DWR will create is for the construction of the tunnels, and they call this the Delta Conveyance Facility Design and Construction Enterprise. The memo describes that the organizational structure and staffing of the DCE, Design and Construction Enterprise, will be somewhat unique in comparison to the typical DWR organization. 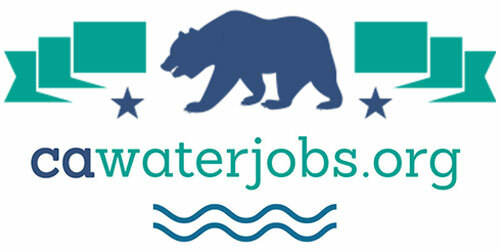 It will be managed by a Program Manager under contract with DWR and will be staffed by highly qualified individuals within DWR, participating local and regional public water agencies, and private consulting firms, and as a part of DWR, it will have the capacity to issue contracts for consulting services and construction using DWR’s authority. So in other words, the BDCP water agencies are essentially moving in with DWR to advance construction of the tunnels. First, the creation of the offices in which BDCP water agencies carry out their preferred project will use public funds to shore up a planning process that has become to expensive for the water agencies. As was explained by Barbara earlier, and discussed in the first document, cash flow, the BDCP water agency funds are running out for this planning process, and also with the pending issuance of bonds by the BDCP water agencies, creating these new operations within the state department gives them an aura of approval that will be good in terms of getting the bond market that they need. We don’t think the state of California should use the public purse to provide interior offices to the BDCP water agencies to prop up a financially risky project that hasn’t been shown to pencil out. Also with what little independence DWR had will now be lost as DWR cohabitates with the BDCP water agencies. The second concern is that we’re in the middle of a review process for the BDCP right now. Decision makers, including DWR, are supposed to consider all alternatives prior to selection of a project, and from federal perspective, equal consideration of all alternatives is required. But DWR and the BDCP water agencies are beginning to implement a specific project now prior to considering public comment and prior to selecting a final design alternative. This action exacerbates previous decisions to narrow consideration of alternatives by which better water reliability and ecosystem restoration could be achieved. This single minded focus on massive new north Delta diversions to the exclusion of all other options has been a constant since the first planning agreement in 2006 for this project. The third concern is that the new office arrangement prioritizes completion of the tunnels over the other aspects of the BDCP sought to be funded by the greater public, and some of these things might have environmental benefits. A turnaround from the prior Delta plan that was called CalFed, the state and the BDCP water agencies plan to build the tunnel first, and delay efforts to address ecosystem challenges to a later date. If those ecosystem benefits don’t occur, the BDCP proponents will simply buy replacement water largely at taxpayer expense, as indicated in the number 5 document called water assurances. Additionally, the memo from DWR, item 7 in your packet, indicates that the BDCP Design and Construction Enterprise would not even be organized pursuant to the governance structure described in Chapter 7 of the plan, so with no standards, we are very concerned this office will run roughshod over local communities with even less representation than was promised in the BDCP for Chapter 7. To conclude, key details essential to an understanding of how the plan will work continue to be deferred out with a lack of an implementing agreement. It’s especially egregious for DWR to move forward into implementing a project that has no local support and at best, uneven support from a few scattered environmental groups and also a barrage of unanswered questions from the permitting agencies. The scientific community has also repeatedly questioned the core assumptions of BDCP, and BDCP is by no means the only or best way to improve water conditions in the Delta. There is a reason that after nearly 10 years, $250 million in BDCP water agency and public funds and staff hours, BDCP can boast only 318 likes on its Facebook page. Now the continuing lack of an Implementing Agreement indicates that even the BDCP water agencies and DWR cannot agree on path forward to take responsibility to implement this substandard conservation plan. In addition to the plan not working for the entities that would receive water supplies from it, the impacts on the environment, the fisheries, and local communities are unacceptable. Under these circumstances, it’s time to examine the approach and content of the plan, not plunge forward with greater commitment to it. I’d like to talk about two things. First, the inter-relationship of the emergency drought relief bill with the BDCP water tunnels, and secondly a few things about the emergency drought relief bill itself. The old saying is, ‘a picture is worth a thousand words.’ And this emergency drought relief bill, S 2098 is Exhibit A in how the BDCP water tunnels, if they are approved and constructed, are going to be filled with water, regardless of the conditions and regardless of the consequences for the San Francisco Bay Delta, Northern California, crashing fish populations, and the environment. The bill elevates Central Valley Project and State Water Project and ‘South of Delta water contractors’ over everything and everyone else. Right now, one thing they can’t do, the special interests can’t do, is take all the freshwater flow out of the lower Sacramento River and away from the San Francisco Bay Delta, because they don’t’ have what used to be called the peripheral canal and is now called the BDCP water tunnels. The water tunnels would allow the taking of an amount equivalent to the entire typical summer flow of the lower Sacramento River away from the lower river, the sloughs and the Delta for diversion to the pumping plants for the exporters. What the emergency drought relief bill does, it shows that money talks and gets the attention of certain politicians and that they are using the drought to favor these powerful south-of-the-Delta exporters over everyone else and taking and grabbing everything that they physically can take and so if they get the BDCP water tunnels, in addition to having dewatered the San Joaquin River already because of past projects, and all of the other terrible things that have been inflicted on Northern California and our river system, and our Bay Delta, they will also be able to the same to the lower Sacramento River and the San Francisco Bay Delta itself. Now a couple things about the bill itself. This is really kind of incredible to use the drought to cater to the wishes of powerful growers in Westlands and Kern County Water Districts. There are no public hearings on the bill, no committee hearings – that is pure raw money driven naked political power and that’s what we’re facing here if folks don’t wake up, not just in the Delta, not just in some environmental or fishing organizations, but throughout Northern California as people did wake up back in the late 70s and early 80s and stopped the peripheral canal. Other things that this drought relief bill would do would be to lock in a 1:1 ratio of San Joaquin Bay Delta water inflow to water exports, regardless of the consequences, regardless of the conditions. It would weaken protections for salmon, and weaken the flow rates for the Old and Middle Rivers, and with the problem of reversing their natural directions to get more water to the federal and state pumps that export water to the south. It would threaten water that’s reserved for national wildlife refuges and supplies, and this would set the stage for this type of thing in the future. We are in a drought, we’ve had droughts before, we’ll have droughts in the future. A drought is absolutely the worst possible time to be enacting legislation claiming it’s on an emergency basis with no committee hearings and no opportunity for public input, because what that means is the powerful special interests that stand to gain the most will get what they want and everybody else, farmers in Northern California, fish, the environment, the ratepayers and taxpayers are going to be stuck down the road for paying for much if not all of these things, are going to be the big losers. That’s why they do things in secret, and this really is part of a pattern. You heard the speakers earlier talk about the Implementing Agreement for the BDCP which is not out there for the public to review and are planning on closing the public review period on the project, and then at some point in the future, release the Implementing Agreement. That has the word ‘fraud’ and deception written all over it. There are great goodies in there for some special interests, very bad things for ratepayers and taxpayers, as well as the environment, and that’s why you keep it a secret and don’t put it out there for people to comment on. If we had honesty in this process with respect to the Implementing Agreement, the public review period on the draft EIR-EIS would be extended to run for at least 120 days after the Implementing Agreement is released, and this emergency drought relief bill would go through a public review including a normal committee hearing process, so the word could get out and the truth could be told. Again, the biggest thing to make in the short term of this emergency drought relief bill, this is a graphic picture of what things will be like for Northern California and the San Francisco Bay Delta and our river system if those water tunnels get approved and constructed. They will have the power to take it all; they will take it all. Thank you Maven for allowing the truth from a broadened perspective to be printed. Unfortunately the truth is being overshadowed in the institutionalized media which portends that this issue is human survival versus a two inch fish. The real issue is much more complex and involves excessive population and unbridled agricultural expansionism that is dependent upon taking the public’s water at less than market cost. For an appropriate analogy just substitute the term “Jew or Gypsy” for “Fish”every time you hear a politician speak the Fish versus Man line and realize that the “Man” in this case are the modern faschists seizing the people’s water in. If you listen closely, you can hear Brown, Feinstein, Kern Water Bank and MWD goosestepping and saluting each other with a loud “Sig Heil” as they celebrate their overcoming of California/Federal law meant to abate the unmitigated theft and mismanagement of California’s water and the environment. Meanwhile the San Joaquin Valley sinks and millions have their water supply poisoned by this unholy agribusiness alliance.